A racially charged Snapchat post has landed one student in big legal trouble, as the victim's family takes action to make sure it never happens again. Pat Battle reports. 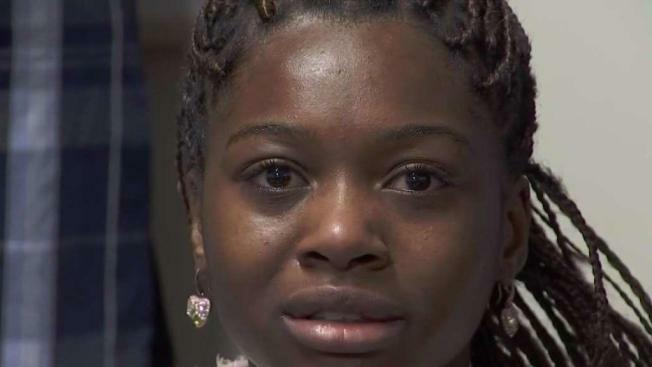 The classmate had posted a photo of her, calling her a racial slur, and the horrifying caption read, "We must lynch her"
The family of a New York high school student targeted in a racist Snapchat photo is asking for her school to do more in the wake of the vile post. N'Senga Kinzonzi, a sophomore at Minisink Valley High School, spoke publicly about the incident Thursday, recounting when a fellow student posted a photo of her on Snapchat with a caption using the n-word and saying, "We must lynch her." "I thought maybe he doesn't know the history and I thought I'd take an educational approach and inform the student about the history behind this hurtful caption," she said, tears streaming down her face. Kinzonzi went on the explain the history of the slur, and while the classmate apologized, the school district's response has been lacking, according to her family. "This was a threat made on her life, and there was a call for others to participate in this. The caption said 'we' must lynch her," said mother Nicole Kinzonzi. Kinzonzi said she's gotten a lot of support from fellow students -- but also harassment. Civil rights attorney Michael Sussman, who has been hired by the family, said, "As painful as it is, we have to demand resolutions because we keep coming back to the same place." Kinzonzi's grandmother, Drusilla Kinzonzi, said there needs to be sensitivity training for staff, and more diversity in the administration. "And if we're not teaching all of American history, we are not teaching," she added. The family has a meeting scheduled Monday with the superintendent of the Minisink Valley Central School District. In a statement last month, Superintendent Brian Monohan said the district has no tolerance for hateful language or conduct that endangers the physical or emotional sense of security for students, and that there should be consequences. The family says this not just about consequence but about change. "I want to be the last person in Minisink, in Orange County, in New York, to ever have to go through this," said Kinzonzi.